Nhangattiri Bhagavathy Temple, located at Pattambi, is dedicated to the Mother Goddess. 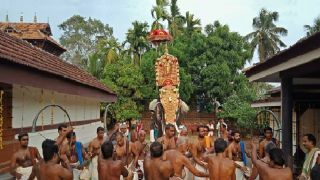 The festival celebrates its annual Niramala festival on Karthika asterism in the Malayalam month of Meenam. 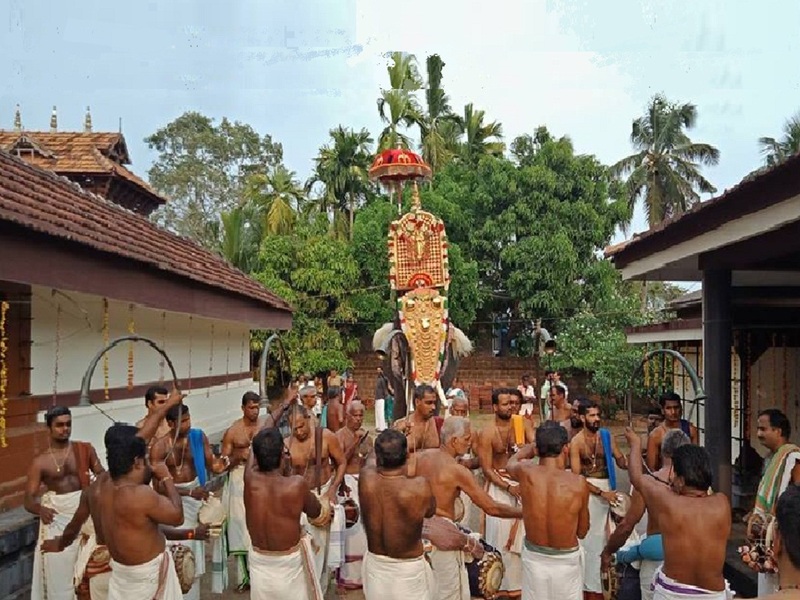 In the Malayalam month of Karkkidakam (corresponding to July / August) the temple also celebrate an interesting ceremony called aanayoottu or feeding of elephants with specially medicated food On the day, elephants lined up on the temple premises are given delicious and healthy food. Devotees take this as a way to please Lord Ganesha, the elephant-faced God, who removes obstacles from one's pursuits.